Heeft u een vraag voor Igna Bungalows? Een kwaliteitsaccommodatie voor wie geïnteresseerd is in cultuur, spa's, bezichtiging van bezienswaardigheden: het Igna Bungalows in Bali is een prima adres voor zowel zakelijke reizigers als toeristen. Gelegen op 39.1 km van het hart van de stad, bevindt dit 2-sterren hotel zich op een excellente locatie met de grootste attracties binnen handbereik. Een plezierige omgeving en de nabijheid van Ubud Markt, Ubud Paleis, Low Kunst Gallerij verschaffen dit hotel een bijzondere charme. Bij het Igna Bungalows staan de excellente dienstverlening en superieure faciliteiten garant voor een onvergetelijk verblijf. De topfaciliteiten van het hotel omvatten gratis wi-fi in alle kamers, wi-fi in openbare ruimtes, parkeerplaats, roomservice, vervoer van/naar luchthaven. De ambiance van het Igna Bungalows weerspiegelt zich in de inrichting van de kamers. plasma tv, internet (draadloos), airconditioning, bureau, minibar zijn slechts enkele van de faciliteiten die u ter beschikking staan. Het hotel biedt geweldige recreatiemogelijkheden die uw verblijf onvergetelijk zullen maken, zoals zwembad (buiten), massage, tuin. Wat de reden van uw bezoek ook is, het Igna Bungalows is een uitstekende keuze voor uw verblijf in Bali. -Pool was discusting and does need a good clean. - breakfast was one piece of toast and an omlet - tasted vile. - Be prepared to walk around 10mins away from where they have published their address to be at. Bedding filthy. Stains on walls. Mould is discusting and could write my name in the dust! Would not recommend this place and decided after staying a night we cut the break short and moved on. A little difficult to find down the alley but overall a nice place. Not accessible for travelers with disabilities as it is down a fairly steep and slippery when wet path. Staff is very friendly and helpful, breakfast is served on your patio which was nice. Was supposed to get breakfast- didn't. Staff rude. Was supposed to be in mixed dorm- wasn't. No toilet roll. Good location but plenty others in area. The hostel is near the market and restaurants. 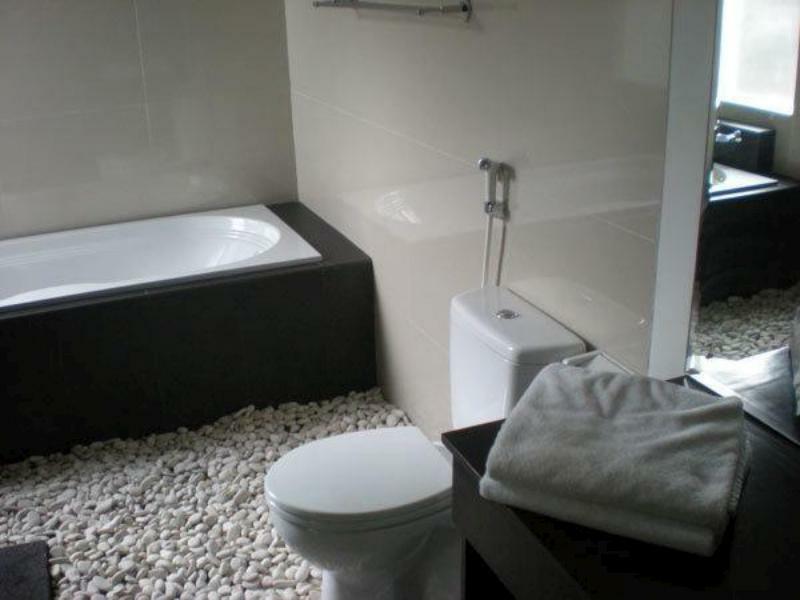 However the shower room have no hanger and clogged sink. The swimming pool is not in the hostel but 150m far from it. The toilet paper are never changed but you have to ask for it. It is very noisy because just above the main street. But internet is good and you have curtains for each bed so uou can ne isolated if you want. This place could be the most beautiful of all, but, the lack of maintenance and cleanliness cause disappointments. If only the rooms were cleaned and maintained properly the peace and tranquility mixed with an awesome location would make a visit to Ubud exceptional. What this place needs is a good manager who can turn it around. I stayed for 4 nights and was in awe of the location. I stayed in a superior suite which had complete views of the forest where on could sit and watch squirrels in the trees from the balcony. Problems: plug sockets were damaged and not repaired. Loose tap fittings in the bathrooms. Walls and floors had not been cleaned for some time. Furniture, like chairs and bathroom cabinets aging and not been maintained. Poor pressure from the showers and taps. Staff were friendly enough, trying to make breakfasts and keeping the customers happy, but could have more training to improve cooking and breakfast options. Although the price to stay was reasonable, I would have paid more to experience what the pictures presented on Agoda's website. We stayed at Igna for our last week in Bali and booked a Deluxe Double room with a bathtub and a pool view but we have given to a wrong room instead without a bathtub and also no view. When we arrived at the property our driver had to stopped at the very busy main road and we had to carry all of our suitcases ourself to the property since the place is very far behind on the narrow road. Overall, i would not recommend this place to anyone since its very far from anything and you need to get a bike or a taxi to go around and also the staff gave us a wrong room! There is so many ants around the property, and all shops nearby closed really soon. Never ever return to this property and not worth every penny paying for this place at all.! I always stay here when i go to ubud. Extremely central great rooms and nice chilled pool. staff are really nice too. Lovely relaxed feel in a great setting. There was a laundry opposite. Alit's shop close by for cheap excursions etc. The pool was top quality. The staff were friendly and delivered breakfast to your balcony. 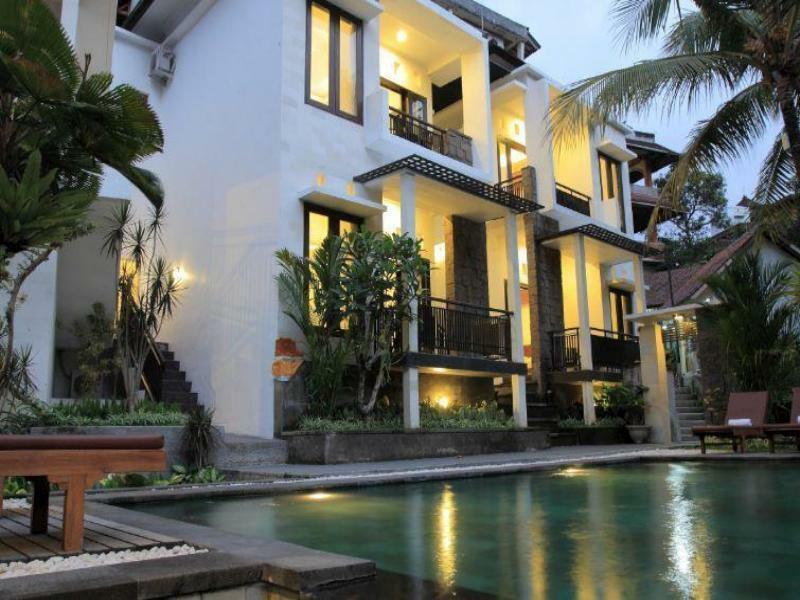 The location is in the centre of Ubud in a small side street thus you do not hear the traffic. Nice big place with balcony, nice pool, and very attentive and caring staff. Felt well treated. Igna bungalows is awesome! location was great coz its along the monkey road, but a bit tucked in an alley which is makes it quiet. but just a few walk youre already back in the main street. Pool was small but very inviting. The place only had a few rooms so it was just right. Room was big and so clean. if id go back to ubud id definitely stay here again. For the price that we paid it was good value. We requested twin beds which werent available when we got there. So they upgraded us to a suite. Don't expect any of the extras in room. It's just a good room with a shower and fridge. No soap etc. I loved the privacy of the place and its location. We enjoyed their small but really nice pool. Their Internet barely worked when we there though. The Igna Bungalows is centrally located, it has good sized rooms, nice beds, tv and a fine set up, and the staff are really sweet, when you can find them. And this is what is wrong, there is no accessible front office, no staff to contact, no phone in the room. There was no kettle, I asked and was told I would be given tea in the morning, for the price in room tea and coffee are expected. There was no water provided, I had to go and buy it, and for sure at a lower priced hotel why not, but not at the price charged by Igna. The room was comfortable and the pool was well sized and it is in a good location, but the lack of accessible service and simple amenities was surprising at this price.